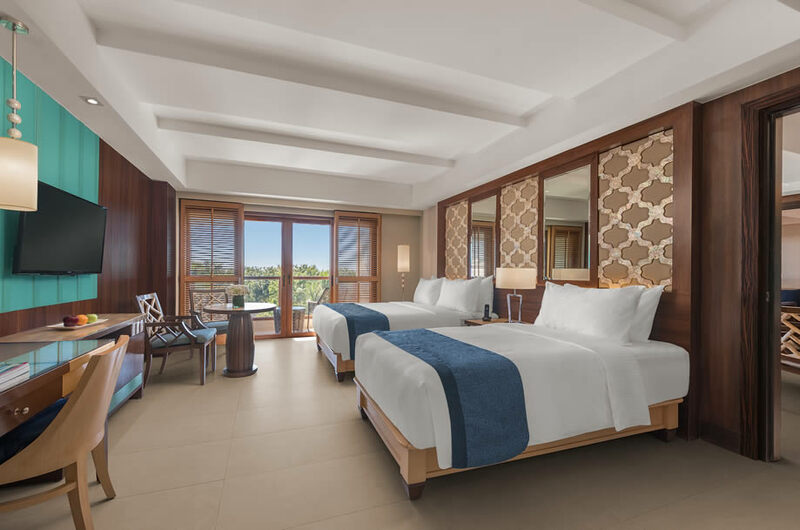 Never settling for second best means choosing to stay at Henann Resort Alona Beach accommodations. We have over 265 rooms featuring 9 different room types that caters to everything you need and more. 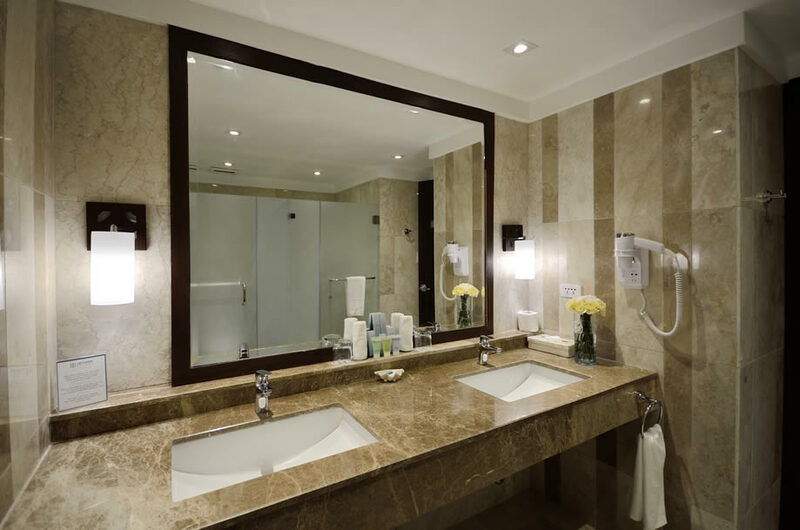 All rooms have state-of-the-art amenities with contemporary Asian-inspired interiors. 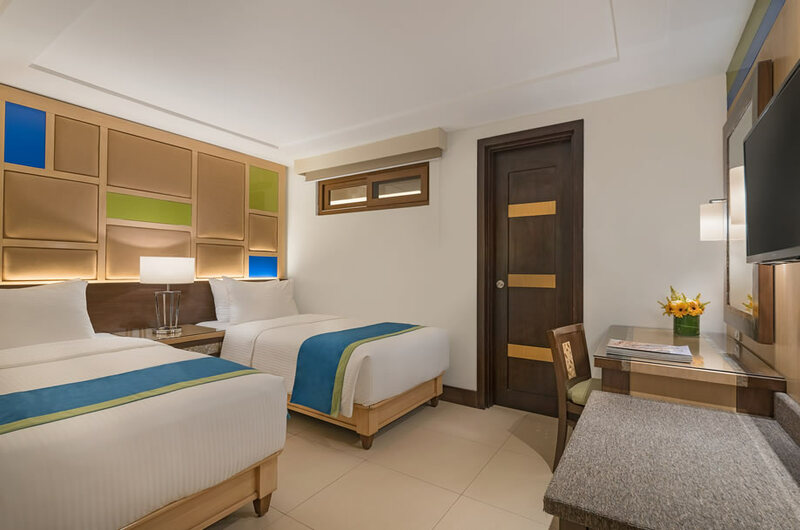 You can check Henann Resort Bohol’s room rates through our online reservation system. 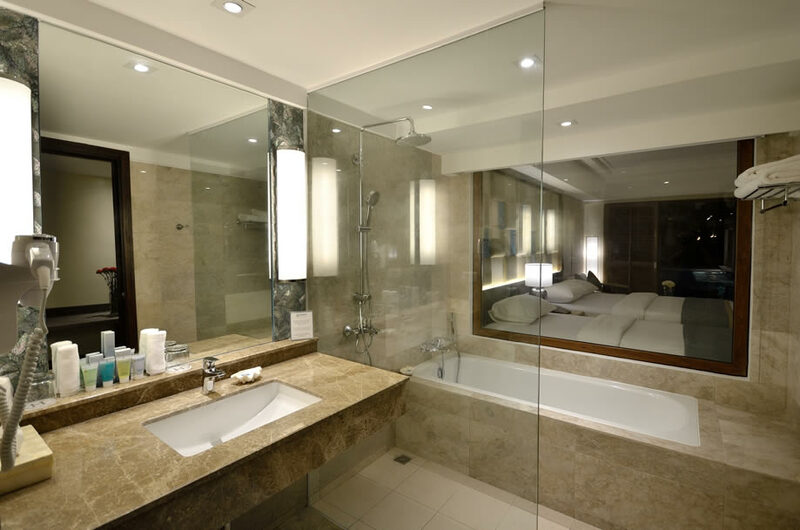 Book direct here to get the best rates with instant confirmation. 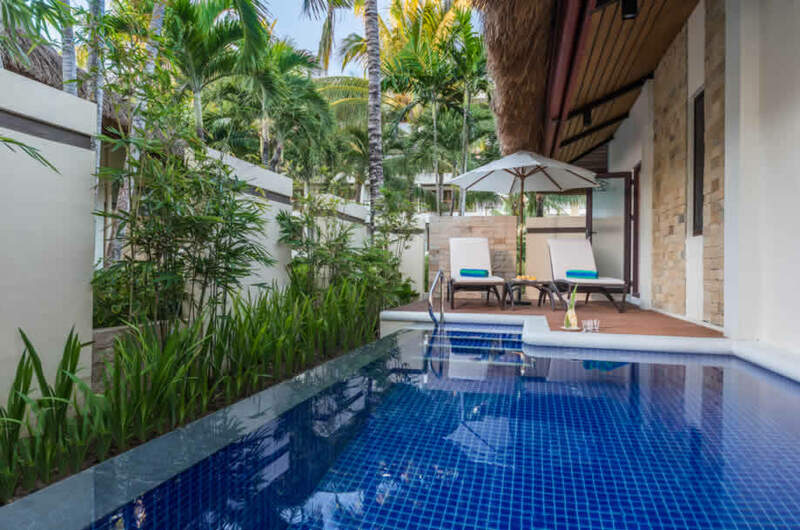 Our Pool Villas offer a more exclusive setting with its own private plunge pool and veranda. 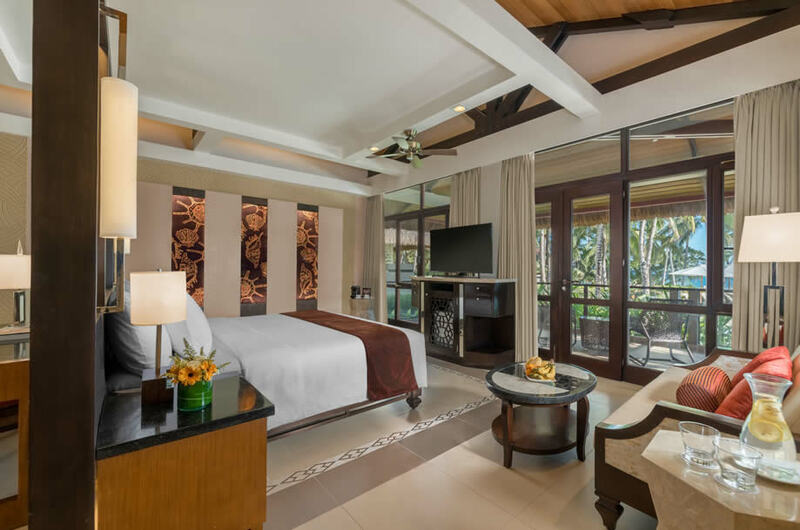 These villas are intricately designed with Filipino-inspired pieces with earth tone hues for a relaxing, rest-conducive ambiance. Guest may also enjoy a full-size swimming pool just right outside their doorstep. 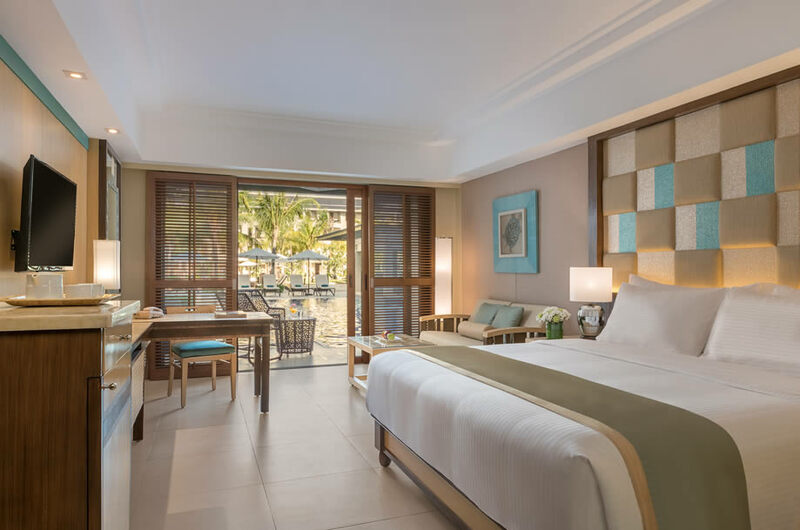 The Deluxe Rooms are bathed in sunlight with outdoor balconies that make this room the best place to experience beach resort living. A king or queen bed and one single bed are available with soft linens and plush pillows that makes a goodnight sleep. The spacious Premier Rooms are the perfect sanctuary for couples or small families alike. 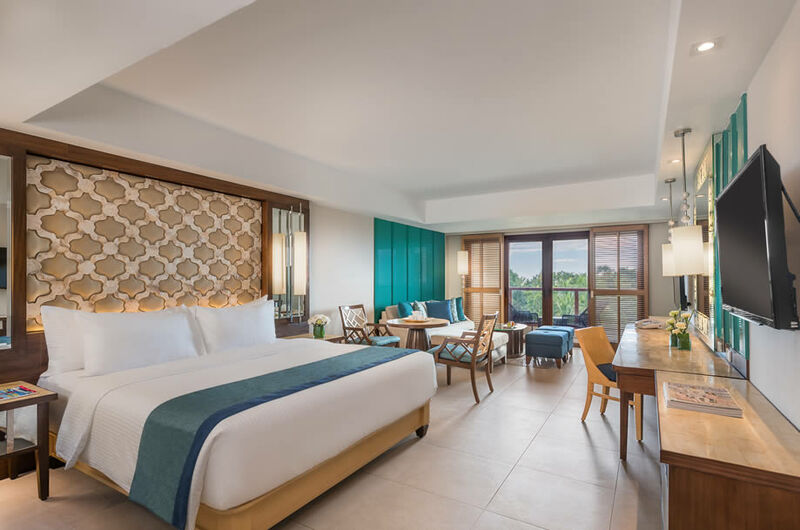 This room features a balcony with lush views of the resort, subtle tones on the interior that provide a relaxing mood, a seating area with a comfy sofa and plush pillows to lounge upon. 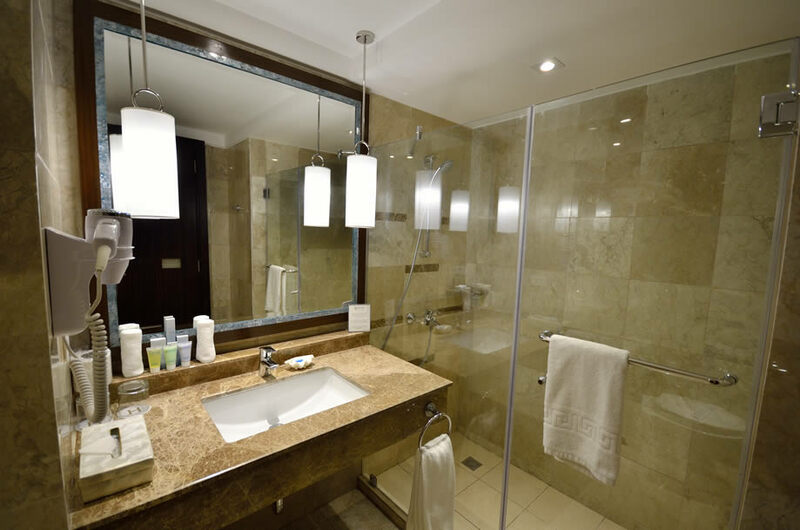 The bathroom features a marble cladding with a separate shower and bathtub for a more personalized approach. 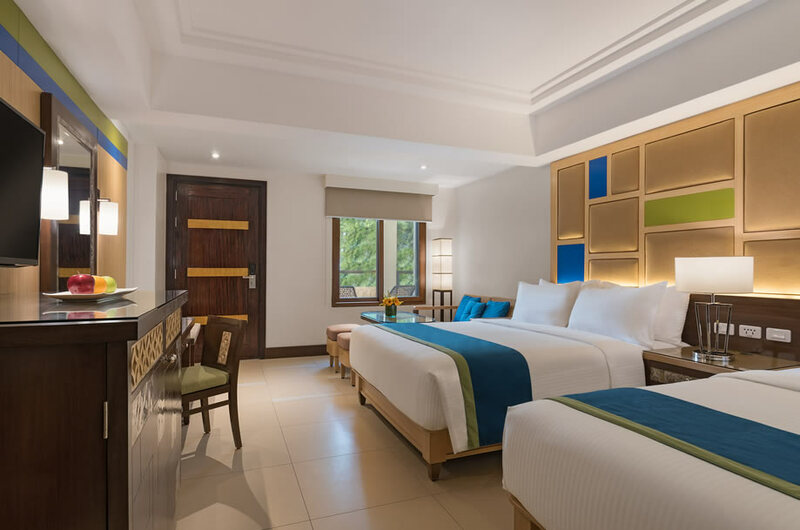 The biggest guestroom in the resort features two bedrooms with one queen bed and one single bed for the master bedroom and two single beds for the secondary bedroom. 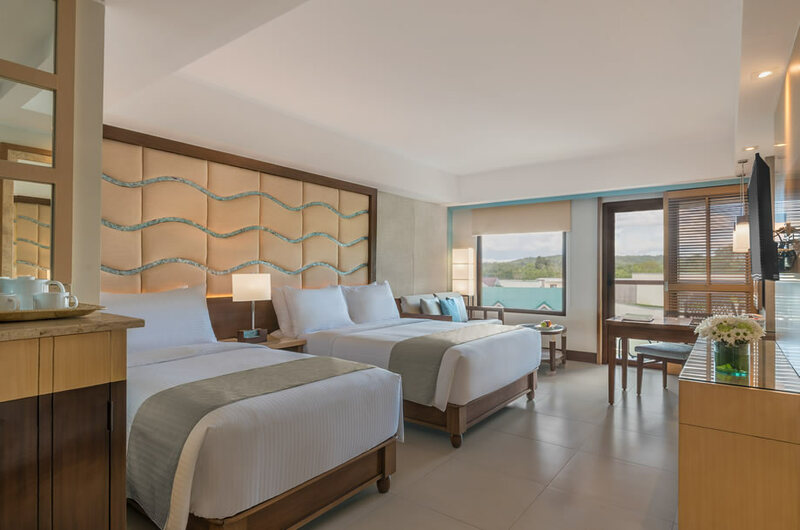 This room is perfect for families or a group of friends who wants to experience the island in utter bliss. 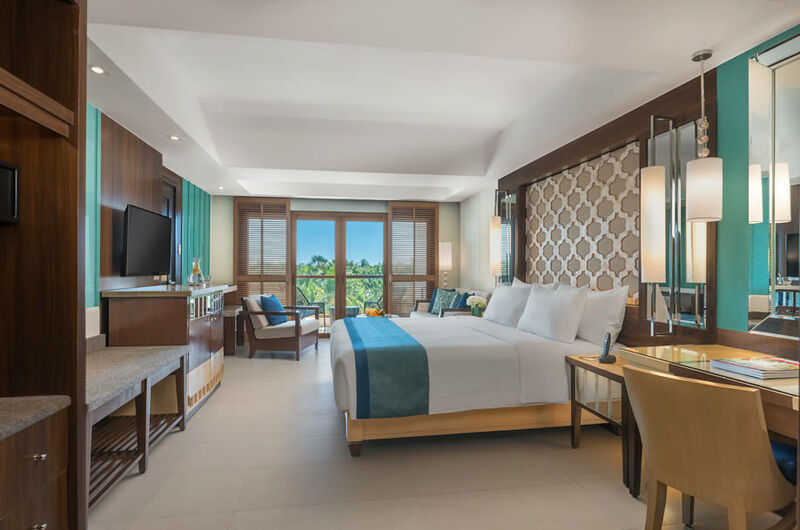 Designed with our guests in mind, the suite has the best views of the resort, lush gardens, and the skyline. The suite features two 40-inch LED TV with a huge seating area, a spacious balcony, and complimentary Wi-Fi Internet access. 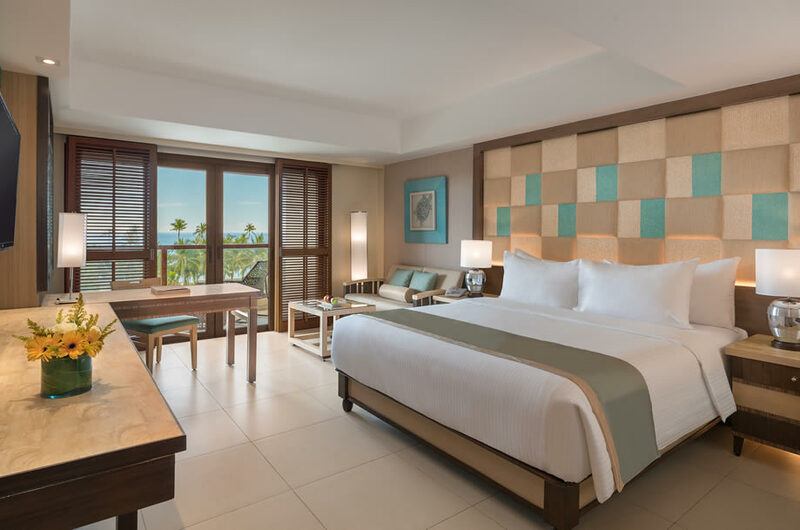 The Presidential Suite is the epitome of an elegant island lifestyle. 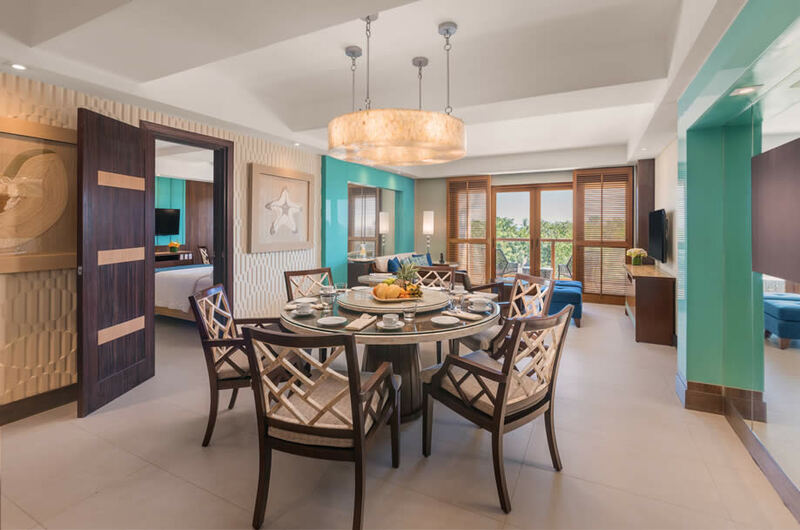 It is by far the biggest suite in the resort featuring 2 beautifully designed bedrooms, 3 marble-clad bathrooms, a receiving area, a dining area, a private bar that is perfect for a small get together, and an expansive balcony with one of the most breathtaking views of the sea. 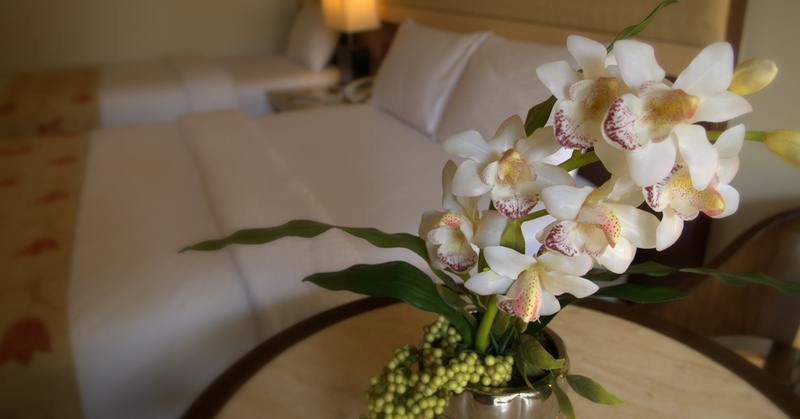 This suite embodies Henann’s signature style and personalized service which make memories to last a lifetime.